The parents of Palestinian teen Mohammed Abu Khdeir, who was brutally tortured and burned to death by Israeli settlers in July of 2014, have filed a civil lawsuit for 5.6 million Israeli shekel ($1.6 million) in damages. “The goal is not to make money but to add to their punishment, so that, even when they are released, they will know they need to pay the family they hurt so much,” Israeli Haaretz newspaper quoted family lawyer Muhannad Jabara as saying. Abu Khdeir added that the decision to sue his son’s killers for damages is because they are afraid that the killers sentence will be reduced by a government special pardon on “racist basis”. The Palestinian family expects the Israeli authorities to reject the lawsuit, according to the PNN. 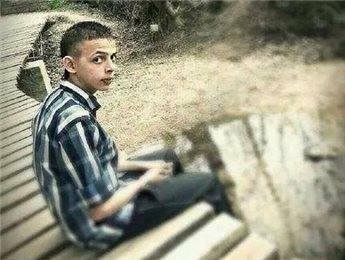 On July, 2 2014, a group of Jewish settlers kidnapped Mohammed Abu Khdeir, 16, from the town of Shu’fat, north of Jerusalem and took him to west of Jerusalem. There they brutally tortured him before setting him on fire while he was still alive. On May, 3 2016, the Central District Court of Jerusalem sentenced the main perpetrator, Yosef Haim Ben David to life imprisonment, with an additional 20 years. The same court sentenced another defendant to life imprisonment and sentenced the third defendant to 21 years’ imprisonment.